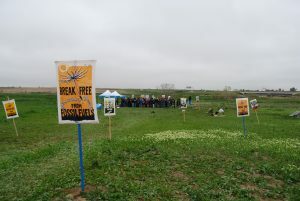 National activist groups looking to revive their struggling ban-fracking agenda failed to draw a big crowd or support from Colorado’s Democrat elected officials for their Break Free CO rally, despite a headline speech from activist celebrity Bill McKibben. 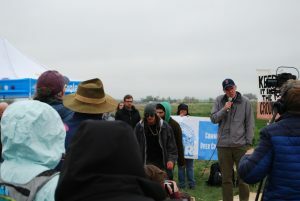 Moments before catching a town car and a flight to Los Angeles to lead another protest alongside San Francisco billionaire environmental activist Tom Steyer, the 350.org co-founder addressed the scant crowd of less than 100 activists. McKibben’s appearance only drew one member of Colorado’s legislature with seemingly no other state elected officials in attendance. 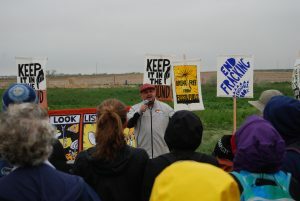 And perhaps most telling of how extreme these groups have become, even Rep. Jared Polis (D-Colo.), a past ally of McKibben’s and past supporter of anti-fracking initiatives was nowhere to be seen at the event. 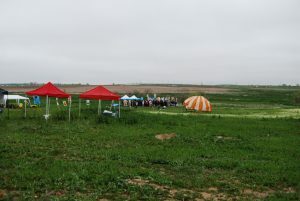 The event in an open space area in Thornton looked pretty sparce with activists’ booths, information kiosks, banners and signs seemingly outnumbering actual attendees. It should come as no surprise that Coloradans were not very receptive of McKibben’s extreme anti-fossil fuel message. In fact, recent polling has shown that “majorities of Republicans (95 percent), Independents (84 percent) and Democrats (69 percent) say that producing more oil and natural gas here in the U.S. is important to them.” Clearly Bill McKibben’s anti-fossil fuel agenda is simply too extreme for Colorado.